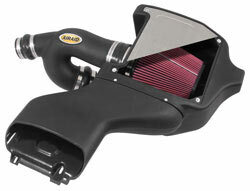 The AIRAID 400-338 fits some Ford F150 models. See vehicle applications for details. Very fast shipping. The product is very well made and was easy to install. Would definitely recommend this to anyone. First off, the kit is a little pricey. After exchange I paid almost $700 CAD. The shipping was fast. Two business days from California to Norhern Alberta. The kit took less than an hour to install. Easy, simple to follow instructions. Noticed the HP gain immediately and also seemed to have better throttle response. For this kit, the cost kinda outweighs the benefit though. Really well made product.